My Asos order came in today. I got a gift-card last week and I decided to spend the whole amount on accessories. Since I don't own any earrings, I decided to pick a few of those. I found two pair of spiked earrings and I totally fell in love with a pair of silver poodles. 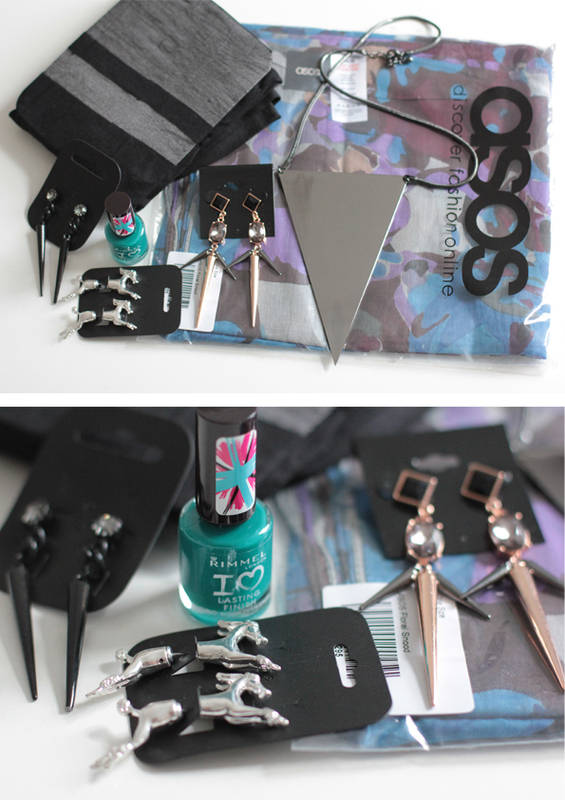 I added a cotton floral snood, a nice shade of nail-polish, a pair of tights and an amazing mirrored triangular necklace. Die poedels zijn zooooo gaaf! Ik denk dat ik weet wat er op mijn surprise verlang lijst komt! Die oorbellen zijn echt mooi!